Now on its 44th Year, the Ship for South East Asian and Japanese Youth Program (SSEAYP) will bring together 300 youth leaders once again to set sail on board MS Nippon Maru for a 52-days cultural exchange program in Japan, Thailand, Lao PDR, Cambodia, Malaysia, and Thailand on October 23- December 13, 2017. The Philippine contingent is composed of 27 young leaders from all over the country, with Jon Leo J. Licayan, and Claire B. Pasion representing Region 12. SSEAYP is a youth exchange program sponsored by the Japanese Government, and implemented by the National Youth Commission (NYC) in the Philippines. The program aims to promote friendship and mutual understanding among youths of Japan and the ten ASEAN countries, and to broaden their perspective of the world, and to strengthen their spirit of international cooperation and practical skills for international collaboration. 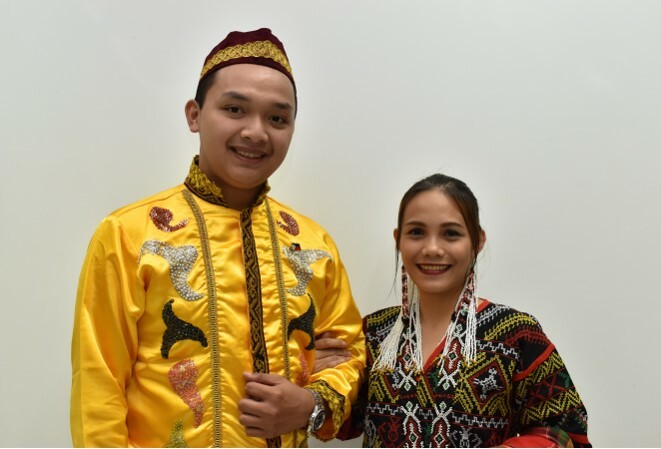 Last July 13, 2017, during their national presentation day – the culmination program of their 9-day pre-departure training at Development Academy of the Philippines in Tagaytay City, Jon Leo and Claire were officially confirmed by Usec. Cariza “Aiza” Y. Suigerra, the chairperson and chief executive officer of NYC to be part of the Philippine delegation. Jon Leo, a certified public accountant, is presently a Barangay Kagawad of Poblacion, Polomolok, South Cotabato. In 2010- 2013, he was the SK Chairperson of their barangay, and concurrently the SK Municipal Federation president of the Municipality of Polomolok, South Cotabato. Because of his active dedication to public service and community involvement, he was awarded with university distinction in community service in 2015 by his alma mater, Notre Dame of Dadiangas University. Now, he is also connected with NDDU as an accountancy professor. Claire, on the other hand, is a resident of General Santos City. She is currently connected with Mindanao State University- General Santos City as the Cultural Museum Curator and Coordinator. She is an active member of the Kalimudan Center for Culture and Arts, an NGO based in Gensan that advocates for social reforms, justice and peace through art. She is very passionate in playing traditional musical instruments such as kulintang, dabakan, and the traditional bamboo flute among others. To better prepare their selves in representing the nation, they will undergo a month-long extensive training and rehearsals in September. At present, they are looking for sponsors for their expenses during the training and the program proper in exchange for an advertising/marketing opportunity. If you are interested in supporting the pride of SOX, you may contact them at jon.ppysseayp44@gmail.com, clai.ppysseayp44@gmail.com or call/text them at +639985670351. You may also visit their official Facebook account 44th Sseayp PPY 2017 - Batch Bulawan.